In my last blog, I discussed reliable online sources of information about your dental care options, including finding good dentists with positive patient reviews. 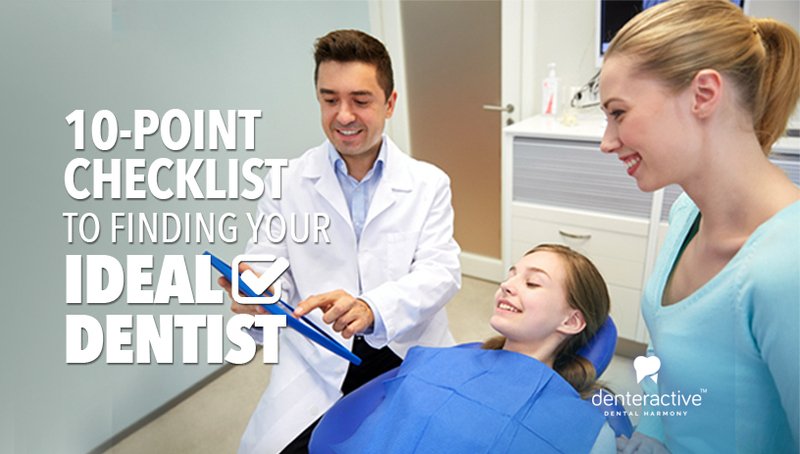 I recommended using Denteractive’s video or text messaging tools to get questions answered and see if you feel a connection of trust with the dentist and staff. Let’s build on that foundation of education and focus on questions you can ask, to determine if a dentist will meet your needs and is in harmony with your goals. You want to get a good feel for the dentist’s qualifications. Find out where he/she received their dental education and ask if they had any formal post-graduate training. Is your dentist affiliated with any professional organizations or institutions? Does he teach and participate in a lot of Continuing Education courses? Ask about the office’s infection control and sterilization practices. You don’t need an appointment to just stop by the office. Is the office clean and orderly? Are the doctor and staff wearing gloves and masks while treating patients? Are the office hours convenient to your needs? What is the office protocol for an emergency or after hours, in case there is a problem? Ask about the office financial policy. If you want to use insurance, be sure the practice accepts yours and understand the limits. But experts agree that since taking care of your mouth is so important, you should be willing to pay for your most important needs. If your insurance doesn’t cover everything, most offices can offer credit arrangements. Don’t shop for the cheapest price: a dentist who wants to simply undercut the competition will likely cut corners on the quality of the materials used and the time you are given. Don’t automatically bite on the biggest giveaways and flashiest ads. Ask family, friends, and co-workers if they have a dentist who has helped them over the long-term at an affordable price. Talk to those who have smiles you admire, and when you find a natural-looking one the person wasn’t born with, go see their dentist. Ask if the practice refers complex cases to specialists (if they claim they don’t need to, run!). If you need to straighten your teeth, you may need an orthodontist. If you have serious gum disease, you will probably have to go to a periodontist for further work, and so on. Get the name of the specialist and look up their reviews. Conscientious and reputable general dentists always associate with good and reputable specialists. In addition, sometimes specialists are great sources to get referrals to good general dentists, as they work with a lot of different ones on a daily basis. 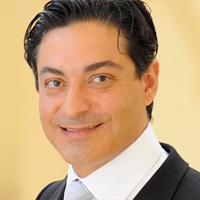 Dr. Anthony Mobasser, a Denteractive member in West Hollywood, Calif., says to ask for a consultation with two or three dentists to compare. If you want cosmetic work, ask to see their own photos of before-and-after cases (not pictures from a vendor). Ask how many cases like yours they’ve done in the past year and in their entire career and whether they can provide a mock-up of what your new smile will look like. Do they offer different price options and candidly discuss the risks and healing time? Does the office have digital x-rays, which cut down on about 80-90% of radiation compared with the film version? It’ll be a plus if they have kept up with technology, but it’s not always the deal breaker. Most important, do you feel welcomed in the dental practice? Does the staff answer your questions without making you feel like you’re intruding on more important tasks? And is the dentist listening to you carefully and providing satisfactory answers to all your questions?